Difficult Conversations (1999) takes a look at what makes a conversation difficult and why we often try to avoid them. 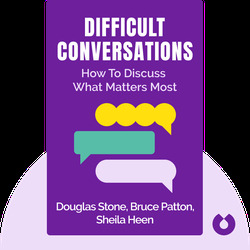 It outlines how to correctly approach and maneuver through tough topics to build positive and meaningful relationships. Douglas Stone lectures at Harvard Law School and is an expert in negotiation and communication. He co-founded the Triad Consulting Group, a communication and education consultancy firm. 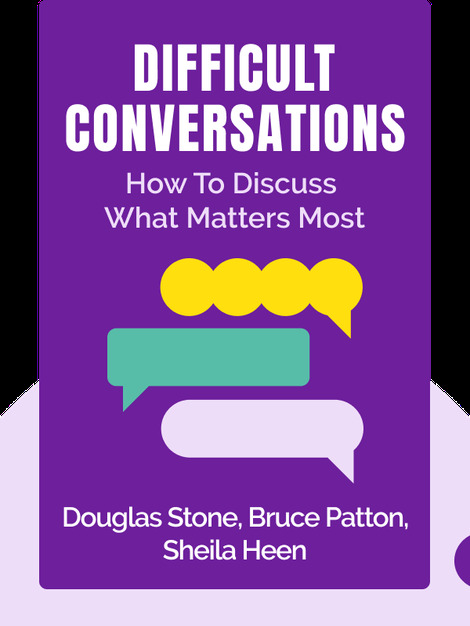 Bruce Patton is the co-founder of the Harvard Negotiation Project, a research entity that deals with conflict resolution and negotiation practices. Patton also founded Vantage Partners, a law firm representing some of the world’s biggest corporations. Sheila Heen is a teacher at Harvard Law School and co-founder of the Triad Consulting Group. She also works as a mediator at the Singapore Supreme Court.